ACTIVE by BMF combines a mixture of movement and resistance training improving both fitness and posture. It focuses on increasing your ability to move freely, so you can do what you want when you want. It’s a total body training session using mobility, stretching, dynamic bodyweight training and our BMF Power Band system. The BMF Power Band system, our most powerful adversary aids in providing a well-balanced, highly effective workout. Constructed for anyone using a unique programming system, it allows people of all ages and fitness levels to take part. Nowadays, the modern world restricts the need for movement which makes us unable to operate as well as we could. ACTIVE by BMF supports you to get on your feet and active again. Struggling with pain, bad posture and can’t find a fitness programme that caters for your needs? 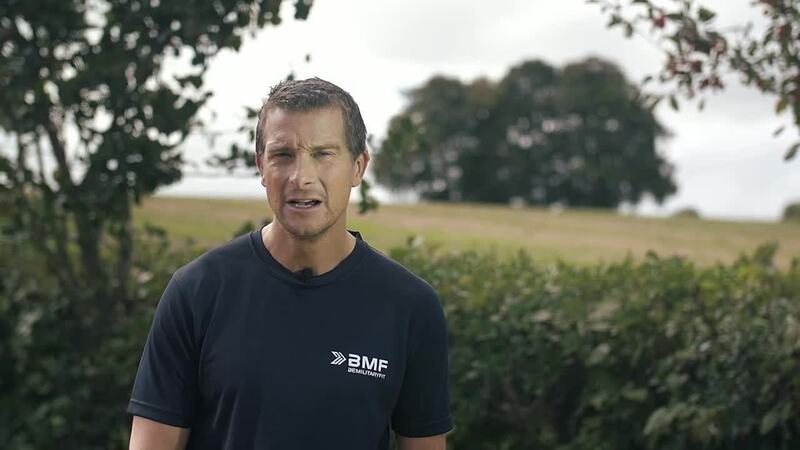 Fix the problem with ACTIVE by BMF. Work at the intensity that is right for you with our high-quality programming system. A supportive, progressive programme that guides you through every exercise, you’ll never feel lost or uncertain of the correct technique. Train with friends and meet new ones who work together to achieve the best results. Spend hours sitting all day? Open up and move again to reduce the problems associated with the working environment. Health conscious older adults looking to improve their lifestyle. Those suffering from Diabetes, Hypertension, or with limitations that prevent them from joining a standard exercise programme. Complete beginners with no exercise experience. If you’ve failed before and don’t know where to turn. ACTIVE by BMF is a 60 minute class delivered by a qualified fitness instructor. The instructor has been trained to understand the needs of all special population groups. They are passionate about giving everyone the chance to move. Unique to BMF training methodology, each session is split into 5 key components. Which allows you to workout at an intensity that’s right for you in a guided, supportive and progressive group training class. You’ll experience a dramatic change in how you feel mentally and physically. ACTIVE by BMF makes you more positive and confident in your life preparing you to take on the challenges ahead! If your gym doesn’t cater for your needs or if it doesn’t care, ACTIVE by BMF will be there to support you. Developing strength across the whole body is essential for balance, improved posture and to kick start results. We strongly believe in “you can’t run before you walk” and we understand that it can be difficult finding a fitness programme you can stick to, this is where ACTIVE by BMF comes in. A programme providing the guidance and support you need. Improve your posture, reduce pain and increase your ability to move. Long term weight loss and weight management. Reduce risk of injury with improved balance and coordination. Increase strength and muscle control to improve function.